Archive.org has a textbook here for Latvian that is actually not too bad. The reason why I use that phrasing is that the old texts on archive.org are often less than useful for learning languages, given how both the target language and English have changed over time. Most German readers are written entirely in Fraktur for example, and old spelling conventions (tun = thun, Tür = Thür, komplizieren = komplicieren, etc.) on top of that make it even more confusing for the student. 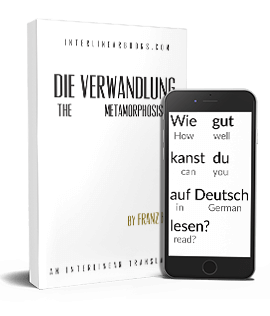 Such books can be used if a native speaker were to go through them and iron out the archaisms. How is your father? -- Kā iet jūsu tēvam? How is your mother? -- Kā iet jūsu mātei? How is your brother? -- Kā iet jūsu bralim? How is your sister? -- Kā iet jūsu māsai? Will you tell me? -- Vai jūs pateiksiet man? Do you speak Latvian? -- Vai jūs runājat latviski? Do you understand? -- Vai jūs saprotiet? Is there anyone here who speaks English? -- Vai te ir kāds, kas saprot angliski? Who was it? -- Kas ta bija? Who is it? -- Kurš tur ir? What it it? -- Kas tas ir? Where is it? -- Kur tas ir? Where is she? -- Kur viņa ir? Where are you? -- Kur jūs esiet? Where were you? -- Kur jūs bijat? What time is it? -- Cik pulkstens? Can it be? -- Vai tas var būt? What do you have? -- kas jums ir? What did you say? -- Ko jūs teicat? What do you mean? -- Ko jūs domājiet? Why do you ask? -- Kāpēc jūs prasiet? Did you say it? -- Vai jūs to teicat? What is he doing? -- Ko viņš dara? What for? -- Priekš kā? Why are you silent? Kāpēc jūs klusējat? Come here! -- Atnākiet šeit! Go away! -- Ejiet prom! Come back! -- Nākiet atpakaļ! Wait for me! -- Pagaidiet mani! Call him! -- Pasauciet viņu! Look at me! -- Paskataties uz mani! Speak to me! -- Parunājiet ar mani! Do you love me? -- Vai tu mani mīli? Do you have a car? -- Vai tev ir mašīna? O.K., kiss me! -- Okei, dod buču! No, buddy boy, scoot! -- Nē, čalīt, vācies! Q: Kur Jūs dzīvojiet? -- Where do you live? Q: Vai Jums patīk kīno? -- Do you like the movies? A: Jā, bet man teātris patīk labāk. -- Yes, but I like live theatre better. Q: Kas tas ir? -- What is that? A: Tas ir galds. -- That is a table. Q: Un kas tas ir? -- And what is that? A: Tas ir krēsls. -- That is a chair, etc. mans mētelis? -- my coat? mana cepure? -- my hat? izeja? -- the exit? etc. Note: all adjectives are given with the masculine ending -s. If an adjective refers to a feminine noun, its ending becomes -a (in the nominative). pulkstens -- watch, clock; also: cik pulkstens -- what time is it? vai -- or; indicates a question, i.e. : vai es drīkstētu? -- may I?